More and more building projects throughout Australia are being enhanced in both value, appearance and energy efficiency by the simple decision to use Acrylic Renders, Textures & Paints. Thanks to our comprehensive rendering service, Melbourne locals across the metropolitan area can rely on Rendering Express to improve the quality and appearance of their properties. Heat reflective coatings fully reflect 50% of solar heat by infrared reflection and can reduce the temperature in your house during summer by up to 25 degrees. Imagine the savings on your cooling bill! We specialise in Acrylic & Cement Render, Decorative and polished finish renders, Texture Paint Coatings for Brick, Blue board, Foam Cladding, Hebel and cement sheet boards. We do internal cement rendering and solid plastering, new or renovation as well as external acrylic and cement rendering with a large variety of texture finishes and colours. Please take some time to look through our site. We would be delighted to show you the quality of our work by providing you with addresses of recently completed properties. There are specific products and application methods for each substrate and therefore it's very important to get it right the first time. We are experienced and highly trained in our specific field. If you are considering giving your property a face-lift, we highly recommend contacting Rendering Express on 0413 425 148 for a no obligation free measure and quote, someone you can trust. As a small business, we pride ourselves on quality workmanship, which shows in all our finished work. We remain a small business for a reason, and that is to control and maintain our high standards. We believe in only using quality products which are guaranteed to last and maintain the finishes we require. "For satisfaction and peace of mind, make sure the person quoting your job, does your job". The visual and structural appeal of your home can be rejuvenated and this will be reflected in its greatly improved market value. Some of these premixed acrylic renders have a smoother complexion than traditional renders. There are also a wide variety of acrylic bound pigmented 'designer' finishing coats that can be applied over acrylic render. Depending upon the product, they can be rolled, trowelled or sponged on. A limited number can also be sprayed on. Various finishes, patterns and textures are possible such as sand, sandstone, marble, stone, stone chip, lime wash or clay like finishes. They are stipple, glistening finishes, and those with enhanced water resistance and anti-fungal properties. We use 100% acrylic, flexible, waterproof, heat reflective and elasticity products to ensure your fresh look lasts the test of time. Also, combined with our energy efficient paint membrane system that reflects 50% of solar heat by infrared reflection. Not only are you protecting your investment but you are saving money on your energy bills. So, in effect, your rendering project will pay for itself. All work comes with our personal 7-year warranty for peace of mind. All the work we have been producing for the last 15 years and continue to do so, is of the highest standard. We can apply acrylic renders to many substrates including painted and non-painted brickwork, block, blue board, foam, Hebel and many more. Guaranteed long term exterior durability. Traditional cement rendering is the application of a premixed surface of sand, cement and lime to brick, cement, stone (rough cast) or mud brick. It is often textured, tinted or painted after application. 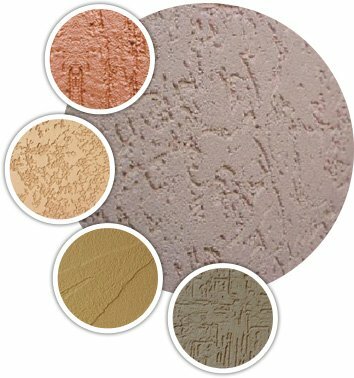 It is generally used on exterior walls but can be used to feature an interior wall. Depending on the 'look' required, rendering can be fine or coarse, textured or smooth, natural or coloured, pigmented or painted. Thanks to our tailored cement rendering services, Melbournians can trust us to make their properties their own. The cement rendering of brick, concrete and mud houses has been used for centuries to improve the appearance (and sometimes weather resistance) of exterior walls. It can be seen in different forms all over the world. Different countries have their own style and traditional colours. Cement rendering is a quick and affordable way to renovate an old home or a great way to save money when building a new home. Transform an unfashionable brick home into a stylish contemporary home. The look that is achieved is sleek and modern, the out-lay is exceeded by the increase in the market value to the home. Acrylic render will not display typical sand and cement weaknesses such as herringbone cracking and runniness. Sand and cement rendering takes around 4-6 weeks to cure before it can be painted. Acrylic render can be painted in 3-5 days, which means saving in scaffolding costs. Sand and cement rendering is 10mm thick, whereas Acrylic render can be applied as thin as 4mm. Acrylic render comes packed in 20kg bags which means less mess around the workplace.